I was flipping through the May issue of O magazine which features a cover story about social media. Before I knew it, I started to feel like a victim in a horror movie. While I pride myself on staying current with technology, this is one area that has sent me screaming in terror and running away, despite its huge popularity. First I ran across “The Question,” a page dedicated to the question for the month. In this issue, it asked readers about their latest Instagram post. (Gulp!) I’d heard of Instagram but had no clue what it was about. I was feeling more and more uncomfortable. On the side of the page was a question for the July issue, followed by a series of icons encouraging readers to “follow us” on Instagram, Facebook, Twitter, and Pinterest. I occasionally dabbled in Facebook but never “followed” anyone. And I never tried using the others, which made me really feel out of touch. Moving on to the cover story, it began with “Now you’re clicking…and tapping, and posting, and commenting.” I may be clicking and posting, but since I don’t have a tablet (though data show that 70% of people my age do), there’s no tapping going on in my house. Before I picked up the magazine, I felt competent because I work online. I built a website and have a blog. I can use Adobe software and lots of other programs. I use plenty of smartphone apps. I have Netflix and an Amazon Fire stick. But a sick feeling in my stomach was making me think I was falling way behind in the ever-changing world of technology. The magazine (which is now available on tablet) included stories of people who met their soul mates through Facebook and Instagram. Stories of vlogging for their YouTube channel. Stories of advocating for a cause through Twitter. And still-newer social media platforms like This. were introduced (yes, four letters and a dot). I starting wondering if this was a young person’s game. Maybe I am too old to keep up. Social media seems like an invasion that’s taking over the minds and souls of people everywhere. The sheer number of platforms is overwhelming and growing. How can I possibly know them all, much less find time to use them? 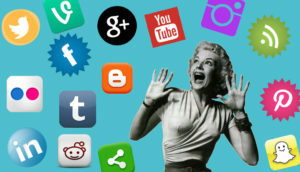 Nova Spivak posted on Mashable some time ago that we’re “entering a new era of social network chaos” with so many different services competing, “culminating in massive information overload.” That kind of describes my take on all the different social media outlets. I just want to cry out, Calgon…take me away! Then I turned the page in O to the story of 90-year-old Ron Lehker. He’s a former teacher and principle in New York who blogs, uses Facebook and Reddit (whatever that is! ), and is considering Twitter. He is labeled by the magazine as a social media savant. That did it. I stopped cowering in fear and decided it was high time I checked out the social media landscape. 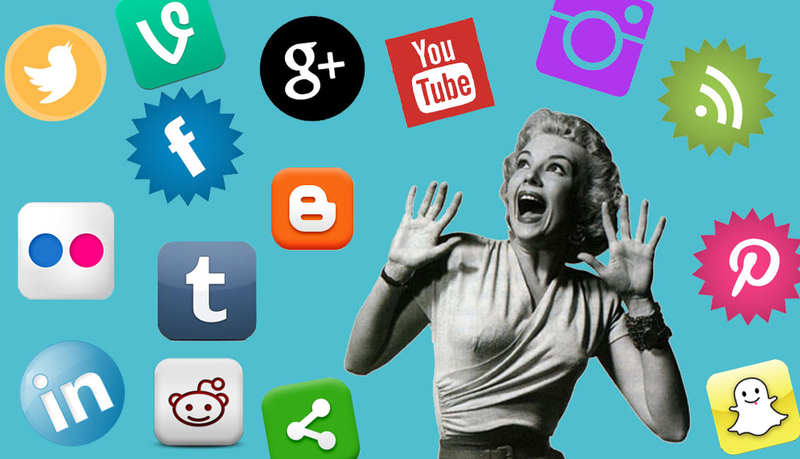 Pew Research shows that 46% of people 65 and older use social media sites. I don’t have to learn to use them all, just find which ones best suit my needs. If a 90-year-old man can do it, I have no excuse. Here goes!